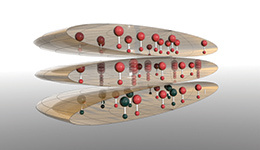 Pump-probe experiments open a completely new way to study and control quantum materials. Their behavior away from thermal equilibrium, generation of metastable phases, photoexcited states, quantum computing-related phenomena, chemical reactions, energy dissipation, etc. can now be measured in real time with unprecedented precision due to rapid advances in ultrafast lasers and x-ray sources. In this talk I will give an overview of several representative pump-probe techniques and then focus on time-resolved Raman scattering. I will then discuss a demonstration project elucidating how energy from hot electrons cascades through different vibrational modes on the way to the thermal bath in graphite. Finally, to illustrate the diversity of problems that can be addressed, I will show how pump-probe Raman scattering is used to probe relaxation of the magnetic state in an antiferromagnetic Mott insulator.